- Red & white outer strips with black center strip. - slightly heavier weight, for better ball control. - medium tight weave, for a springier bounce. 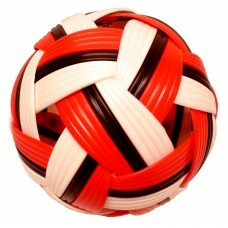 - MOST USED BALL, COVERING WIDEST AGE RANGE. Junior High School Boys & Girls (grades 7 - 9). High School Girls (grades 10 - 12).